By utilizing the technologies and expertise of Group companies, the Nisshinbo Group supplies solutions globally to help realize the safety and security of people in a super-smart society, including disaster-prevention systems, such as weather radars and river level monitoring equipment, total maritime information services, and plant factories. In addition, the Nisshinbo Group is contributing to the realization of a hydrogen-powered society by improving the performance of such products as carbon separators and carbon alloy catalysts for fuel cells and gas detection sensors, striving to overcome the related technological and cost hurdles. Weather radars developed by Japan Radio Co., Ltd. are widely used by Japan’s Meteorological Agency and Ministry of Land, Infrastructure, Transport and Tourism and by overseas meteorological agencies to forecast weather conditions and rainfall. Cases of localized heavy rain have been increasing in Japan in recent years due to thunderclouds occurring in linear precipitation zones and other weather conditions, leading to elevated risk of natural disasters caused by flooding and extreme wind. 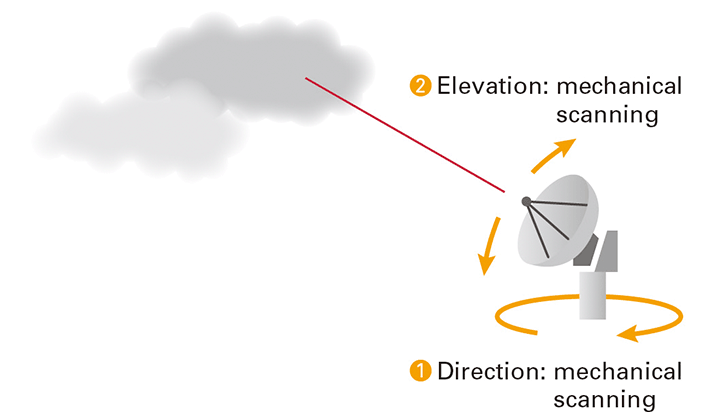 However, conventional radar systems, which typically need about five minutes to complete a single observation cycle, are too slow to create stereoscopic images of fast-forming thunderclouds. 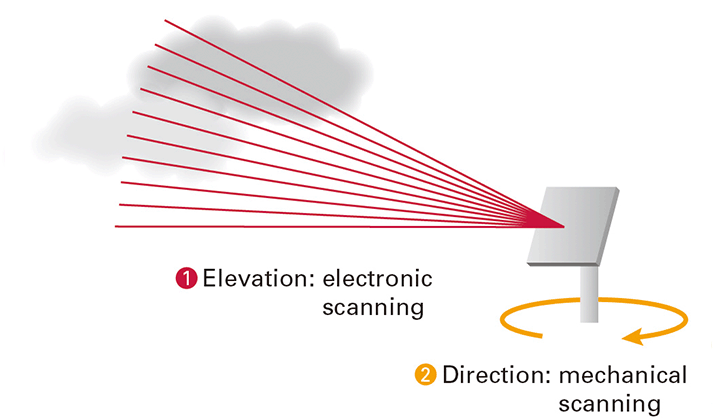 The phased array* weather radars developed by Japan Radio comprise multiple antennas that emit a beam of radio waves that can be electronically steered, enabling fast, stereoscopic observation of thunderclouds. Weather forecasting systems with phased array radars can rapidly create forecasts for localized heavy rain, helping to reduce damage from natural disasters. Japan Radio is running tests on its latest phased array radar at a location in Chiba to overcome such challenges as measuring rainfall quantity and identifying the difference between rain, snow, and hail, which is currently hard to do with conventional weather radars. 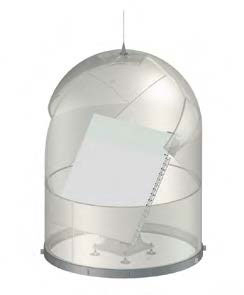 * Compact weather radars with multiple, overlapping antenna beams that reduce blind spots in radar coverage. 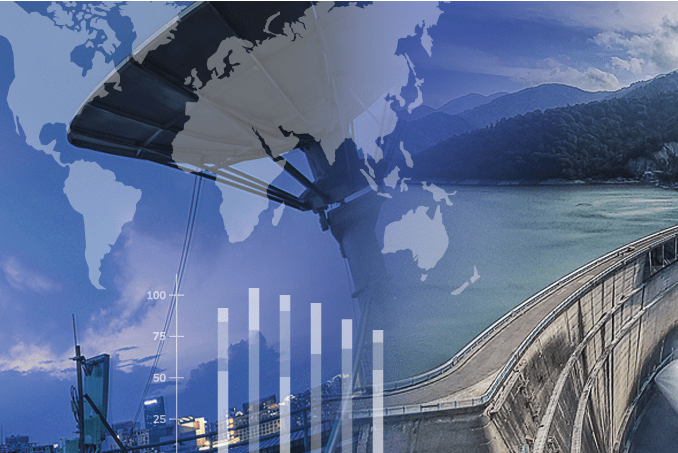 Japan Radio Co., Ltd. supplies important systems in a comprehensive manner to ensure that social infrastructure functions safely and reliably, such as dam and river management facilities and all kinds of disaster-prevention and -reduction facilities. The company contributes to the development of social infrastructure on a global level with, among others, an integrated dam management system to prevent damage from flooding, a disaster-prevention information and communications system to ensure the safety of local residents at times of disaster, and a meteorological observation system used in weather forecasts. 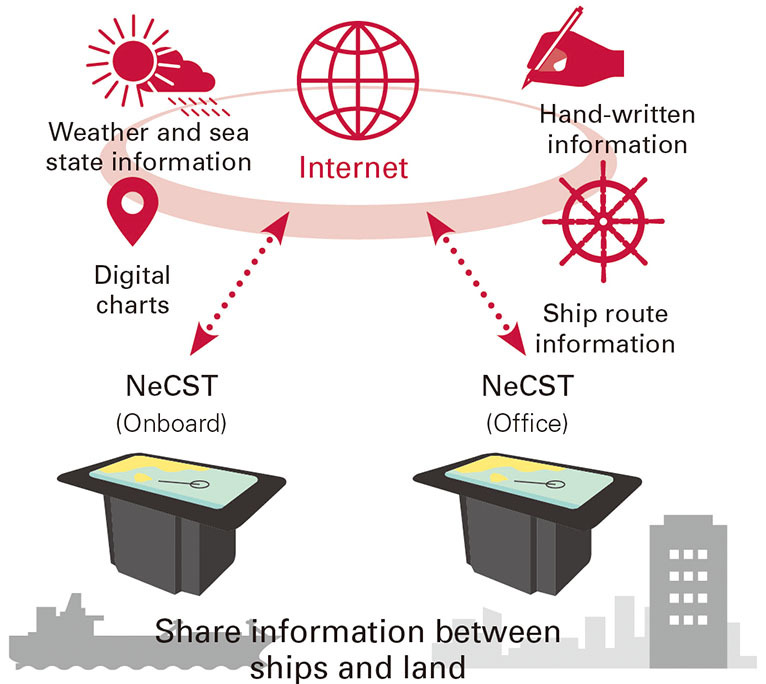 The J-Marine Navigational electronic Conning Station Table (NeCST), jointly developed by Japan Radio and Nippon Yusen Kaisha (NYK) Line, is a vessel navigation support system that manages and shares such route information as digital nautical charts, which are viewable on a large screen. The system is also linked to J-Marine Cloud, a package of cloud-based maritime information services. In a world-first, users can make handwritten annotations to digital charts on the NeCST screen, helping to improve the efficiency of route planning. The system has the potential to be an important part of autonomous shipping operations in the future as it facilitates information sharing between ships and land and supports safe navigation. During development, we sought to make the system as usable as possible by using input from many experienced crew members and by dispatching R&D staff to work on ships. 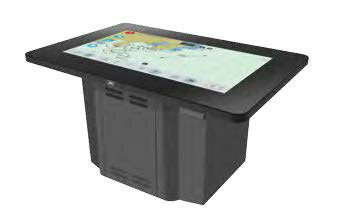 The system combines the flexibility of paper charts with the intuitive user interfaces of tablet devices. We estimate the target market for the system to be roughly 10,000 ships worldwide, and we plan to drive uptake by offering different screen sizes. Securing stable supplies of safe and reliable food products is a growing problem due to extreme weather events worldwide. Nisshinbo is working on technology to cultivate plants in hermetically sealed plant factories. We have already applied the technology to create Japan's first plant factories that use only artificial light, allowing the cultivation of tasty strawberries all year round, regardless of outside temperature and weather conditions. 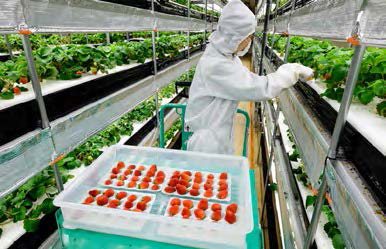 The factories, which are located at our Tokushima and Fujieda sites, supply strawberries under the Apollo Berry brand. From now on, we will build on our success in plant factories to develop smart factories using the Group’s sensing and communication technologies to monitor and collect large amounts of data on cultivation conditions to support harvest forecasting and stabilize yields. 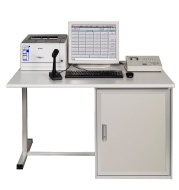 On this basis, our aim is to expand the business by selling equipment and supplying related services. In cathode catalysts for polymer electrolyte fuel cells (PEFC), we are engaged in the development of a completely new approach involving a switch from platinum to carbon as the main material. Because they do not use platinum, a precious metal, carbon alloy catalysts enable a stable supply. In September 2017 Ballard Power Systems, Inc., a leading fuel-cell manufacturer in Canada, selected our carbon alloy catalysts for portable fuel-cell applications, marking the world’s first commercial use of a non-platinum catalyst in a fuel-cell electrode. 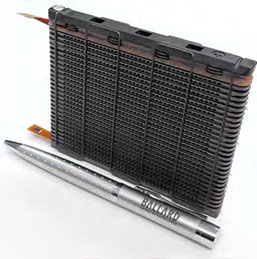 Ballard added the fuel-cell stack to its product range in December 2017, and it is attracting interest for outdoor and backup power supply applications. By employing carbon alloy catalysts, Ballard has reduced the amount of platinum used in its fuel-cell stacks by about 80%. Nisshinbo is currently making efforts to increase the performance of our carbon alloy catalysts. Our aim is to have our carbon alloy catalysts used in fuel-cell-powered forklifts, which are gaining popularity, particularly in North America, and in fuel-cell vehicles, which are expected to enter a phase of full-fledged diffusion in the near future.